Well, I guess it's time to get serious here. Seven will be arriving sometime this month. I'm not ready, but then I don't know that I'll ever be ready to drop everything and have a baby. Tomorrow we have a big day planned. Joshua is going on a flight with the Young Eagles and will get an awesome aerial view of our little town. I'd never heard of this program before, but it sounds pretty amazing. Kids 8-17 can fly (for free) with an experienced pilot so they can experience the thrill of flying. Joshua has flown several times before, but never like this and never without me. It should be exciting! 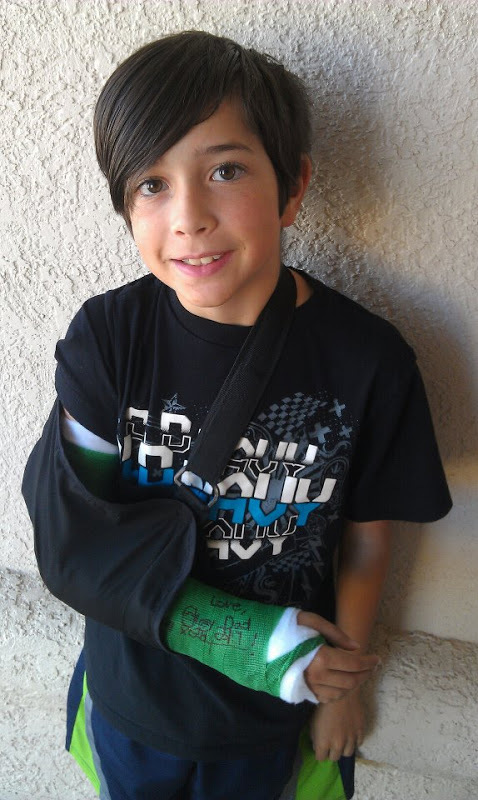 Matthew goes back to the orthopedic surgeon tomorrow. He had his cast put on last Friday but the x-ray last week showed that one of the bones had slipped out of place. We're hoping that it hasn't moved any more since then. The doctor said that kids' bones grow so quickly that it wasn't a big deal to leave the pieces out of alignment, as long as the pieces were touching. If they shift more, Matthew will need surgery again. So we're hoping for good news tomorrow! 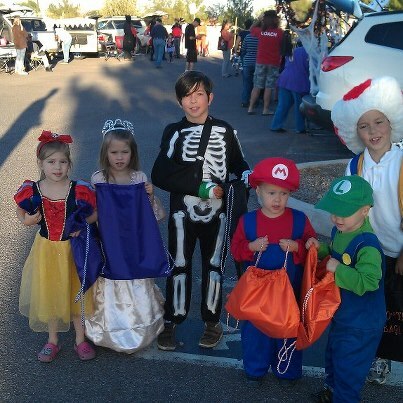 We did some trunk-or-treating at our church last week and my crew was mostly dressed in Mario Bros. fashion. Leila was Snow White, Matthew was a skeleton with a couple of broken bones, Sarah was Princess Peach, Joshua was Toad, and Nathan & Ryan were Mario & Luigi. 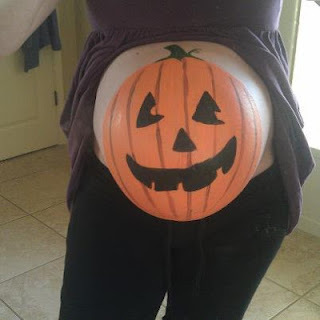 We can't wait to meet this pumpkin! Ack! I can't believe it's November!